Joplin was a stopping point for many hoboes and railroad tramps and one can only assume that they hoped to find a square meal as they roamed its streets and alleys. On one occasion, hoboes were able to secure themselves a free meal, but probably not the feast they had hoped for. The newspaper, which often frowned upon weary willies, declared that perhaps the boxes of shredded wheat “did more good to mankind” that day than if it had remained on the doorsteps of its intended recipients. 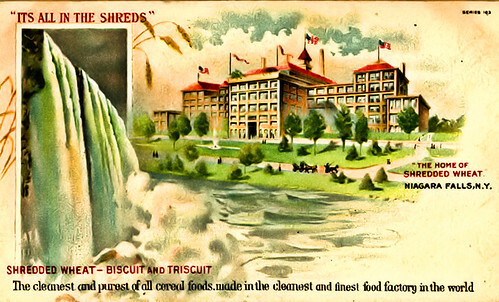 One has to wonder if hoboes reminisced years later about the time they feasted on shredded wheat in Joplin. Very well written and informative. Thank you. I just finished watching a rerun of Bonanza about Weary Willies and wondered if there really were Weary Willies or was in only the imagination of the writer. Well, things haven’t changed very much at all. We still have the poor, the malcontent, etc. People can still starve right hear in the good ol’ US of A. What a shameful thing! This page took 0.269 seconds of computer labor to produce.